While your teeth are designed to serve you for a lifetime, life sometimes happens, and you’re left with a gaping hole in your mouth. Whether an accident has robbed you of a tooth (or teeth) or decay has claimed one, the effects run far deeper than a simple cosmetic concern and can impact the underlying structures of your entire mouth. Bone deterioration after the loss of a tooth is a very clear and present danger unless you take steps to prevent this from happening. Here at Abington Center for Cosmetic & Family Dentistry, we offer the latest techniques for replacing missing teeth, including the increasingly popular dental implant option. An implant not only restores your smile but keeps your overall oral health in good working order. If you’d like to find out how dental implants have helped many of our patients in Clarks Summit, Pennsylvania, read on to learn more. If an accident or decay leaves you with a hole where your tooth once was, the problem goes far beyond the loss of the visible tooth. Each of your teeth is firmly planted into your jawbone through their roots, which is what keeps them from shifting around. To ensure their stability, your jawbone is constantly renewing and rebuilding itself on a cellular level, replacing weakened and damaged bone tissue with new tissue. The signal for this process is, quite simply, your use of the tooth. Every time you bite down with that tooth, your jawbone registers the use and your body sends in resources to shore up the foundation, knowing that it’s being actively used. When you lose a tooth, there’s no longer any signal in that area so your body slowly decreases the resources to that area, leaving your bone to wither and deteriorate. This absence of any bone renewal can spread and compromise your neighboring teeth, causing them to loosen or shift out of place. Over time, the bone loss in your jaw gives you a visibly, sunken-in look that can even change the shape of the lower half of your face, especially if you’re missing more than one tooth. When it comes to replacing missing teeth, we have many options that restore function and form to your mouth, but none address bone loss like a dental implant, for one very important reason — we trick your body into thinking that the tooth is still there. To do this, we surgically implant a titanium post into your jawbone in order to mimic your tooth’s root structure. 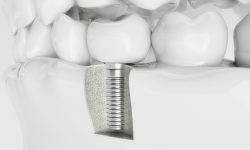 Over time, your jawbone accepts the implant and grows bone around it, securing the implant into place. When we place a crown over your implant, you use the tooth as you would any other, sending the signal that the site is an active one, which means your body will continue to regenerate bone tissue in the area. 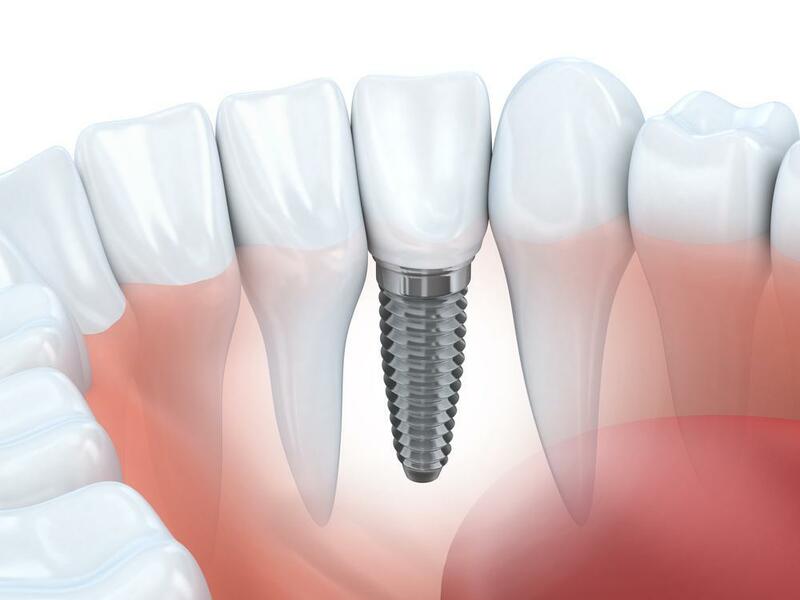 For all intents and purposes, your dental implant performs just as well as a natural tooth, and the implant should last a lifetime (though we may need to replace the crown periodically). Best of all, you’re able to restore your smile right down to the roots. If you’d like to learn more about how a dental implant can preserve your dental health, we invite you to give us a call or click the button to set up an appointment. 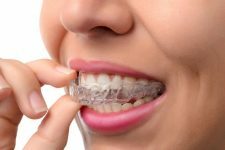 If I Choose Invisalign, How Long Will It Take?